This is one of my favorite pictures of my wonderful husband and our baby boy. Our family was hiking Crowder’s Mountain on this day. Daddy and the boys (all three) went ahead of us girls…typical. 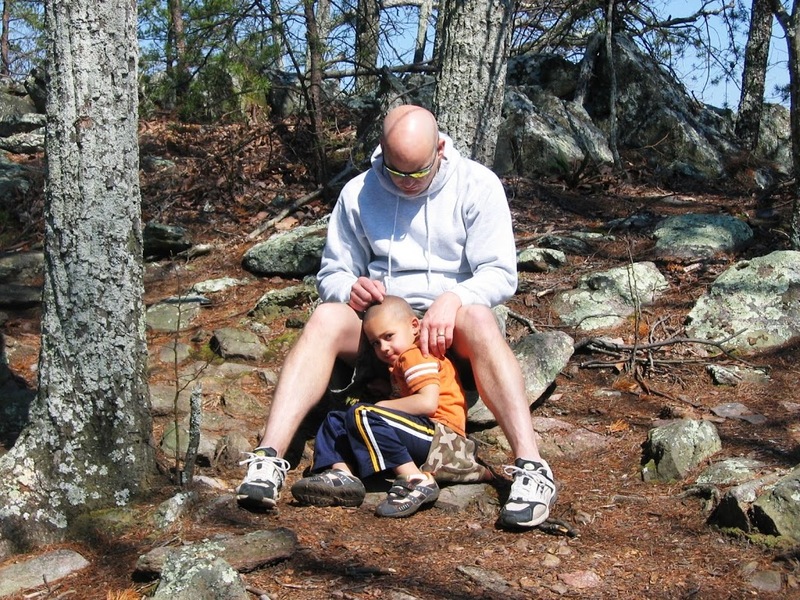 Another family that we were hiking with took this great shot of the two of them resting together. This photo may show up again in another post in the future. I know that there is a God theme in there. I’ll save it for then. I just wanted to share the photo now.